Ava DuVernay attends the 2018 Vanity Fair Oscar Party hosted by Radhika Jones at Wallis Annenberg Center for the Performing Arts, March 4, 2018, in Beverly Hills, Calif. Ahead of her highly-anticipated film adaptation of Madeleine L'Engle beloved children's book, "A Wrinkle in Time," director Ava DuVernay is weighing in on Frances McDormand's passionate Oscars speech and the importance of inclusion riders in contracts. Add Oscars as an interest to stay up to date on the latest Oscars news, video, and analysis from ABC News. "An inclusion rider is an idea that's going around the industry and in Hollywood and New York and Atlanta where there's a lot of productions for film and television," DuVernay, who has been a consistent champion for inclusion, told ABC News. She went on, "[It] says that as an actor, who usually has a lot of power on these productions -- that they want a part of their contract to say that the studio and the director and the producers will include all different kinds of people in the crew positions." DuVernay, 45, added, "So all those hardworking crew members -- an inclusion rider says, 'if you hire me, you've also got to hire people who look like the real world.'" 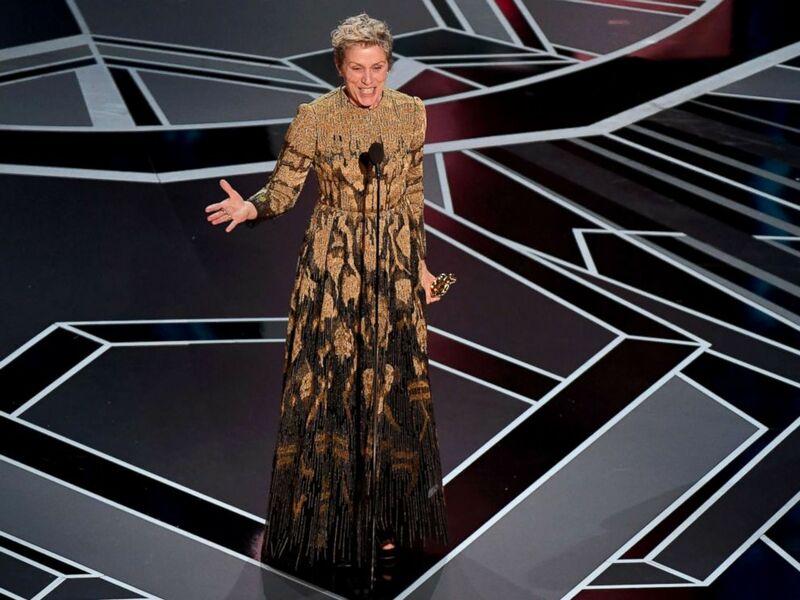 Actress Frances McDormand delivers a speech after she won the Oscar for Best Actress in "Three Billboards outside Ebbing, Missouri" during the 90th Annual Academy Awards show, March 4, 2018, in Hollywood, Calif.
DuVernay said she also agrees with McDormand's push for actors to include the rider when they sign onto new projects. "I think it's a beautiful idea," she said. "And I'm really supportive of any idea that looks at ways to get more kinds of people, and more cultures, more races, more diversity and gender behind the camera." While McDormand's speech may have started a broader conversation, DuVernay said she understands there's no guarantee it will immediately change things. However, she believes it's a great start. 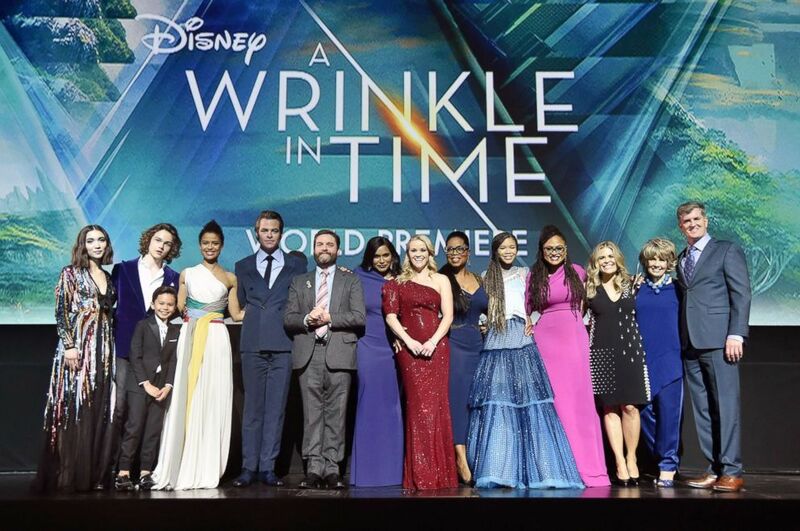 The cast of "A Wrinkle in Time" with director Ava DuVernay, screenwriter Jennifer Lee, producers Catherine Hand and Jim Whitaker pose at the world premiere in Hollywood, Calif., Feb. 27, 2018. "And so, good for her for using that international platform," she said. "And now everyone's talking about it ... And maybe it'll make real change." "A Wrinkle in Time" opens in theaters Friday.